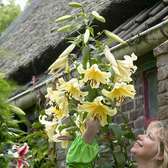 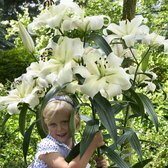 Fragrant giant Goliath Lilies are a cross between Giant Oriental Lilies and Giant Trumpet Lilies. 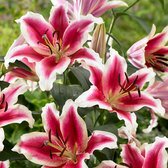 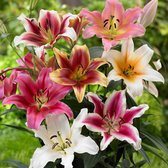 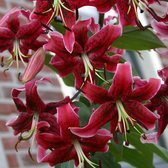 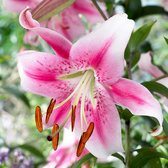 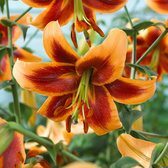 These beautiful Lilies can be incorporated into the back of your garden borders where they can tower over other bulbs and plants and act as a wonderful backdrop for your display. 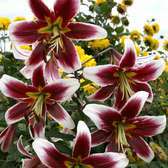 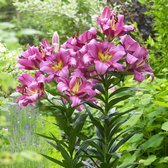 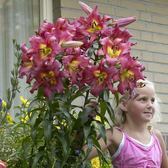 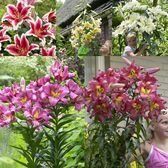 If left undisturbed Goliath OT Lilies will grow up to 2.5m tall! 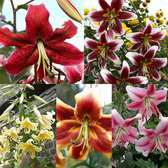 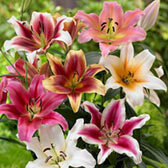 Large 16/18cm Lily bulbs supplied.